영어패턴 너, 먼저 ~해야 하는 거야! You ought to + 동사 원형 + first! 너, 먼저 ~해야 하는 거야! You ought to warm up first! 너, 먼저 준비 운동을 해야 하는 거야! You ought to seek advice first! 너, 먼저 조언을 구해야 하는 거야! You ought to check it out first! 너, 먼저 그것을 확인해야 하는 거야! 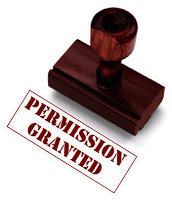 You ought to get permission first! 너, 먼저 허락을 얻어야 하는 거야! You ought to think it through first! 너, 먼저 충분히 생각해야 하는 거야! A: Let's do a street side tent-bar tonight. It's my treat. A: 오늘 저녁 포장마차에 가자고. 내가 살게. B: You'll get in hot water again. You ought to get permission first. B: 그러다 또 곤경에 처한다. 먼저 허락을 얻어야지! A: It's easier to get forgiveness than permission. A: 허락을 얻는 것보다 용서를 구하는 게 더 쉬워. * Let's do a street side tent-bar tonight. : 오늘 저녁 포장마차에 가자고. * It's my treat. : 내가 살게. * You'll get in hot water again. : 그러다 또 곤경에 처한다. * You ought to get permission first. : 먼저 허락을 얻어 내야지! * It's easier to get forgiveness than permission. : 허락을 얻는 것보다 용서를 구하는 게 더 쉬워.